Partners In Health (PIH), known locally as Inshuti Mu Buzima (IMB), is an international non profit organization that helps build and sustain public health systems in poor and underserved communities around the world. Partners In Health was founded to deliver health care to the residents of Haiti's mountainous Central Plateau region. Its mission is to provide a preferential option for the poor in health care. PIH strives to bring the benefits of modern medical science to those most in need of them and to serve as an antidote to despair. Since its founding, PIH has greatly expanded its work in Haiti and spread to 10 more countries. More than one million people lost their lives in the genocide and another four million were displaced. After the genocide, Rwanda’s health system was severely crippled by the lack of trained medical professionals and the destruction of its infrastructure. Around that time, average life expectancy fell below 40 years. Partners In Health was invited by the Rwandan government to help combat the HIV/AIDs epidemic in one of the country’s poorest districts. In Southern Kayonza we constructed a hospital and renovated health centers, hired doctors and nurses, trained community health workers and procured medicine and medical equipment. We started HIV testing and enrolled more than 1,000 patients in our antiretroviral therapy program modeled off of the one established in Haiti. The Rwandan government invited us to support the neighboring Kirehe district health system in addition to southern Kayonza. We opened our first NCD clinic which integrated treatment of diabetes, hypertension, heart failure, and asthma. We supported the Government of Rwanda to construct a new hospital in Kirehe District. In partnership with the Government of Rwanda, we began construction on Butaro Hospital in the northern district of Burera. In addition to four basic services (maternity, internal medicine, surgery, and pediatrics), the 150-bed hospital included an emergency department, a full surgery ward with two operating rooms, a neonatal intensive care unit, a high care unit, outpatient ophthalmology and gynecology services, an ear nose and throat clinic , and significantly expanded laboratory capabilities. Our coverage expanded to six more health centers in Kayaonza and 15 in Burera. We launched our mentoring program to improve the quality of care for children under five and mothers. Our operations grew to include all 15 health centers in Kirehe district. Butaro Hospital opened its doors, delivering high quality care to the population of Burera, a region that has long lacked access to health care. Renovations are made in all health centers in Kirehe districts. We formed our research committee to begin studying the impact of our work and generate knowledge for the field of global health. The Butaro Cancer Center of Excellence was opened. 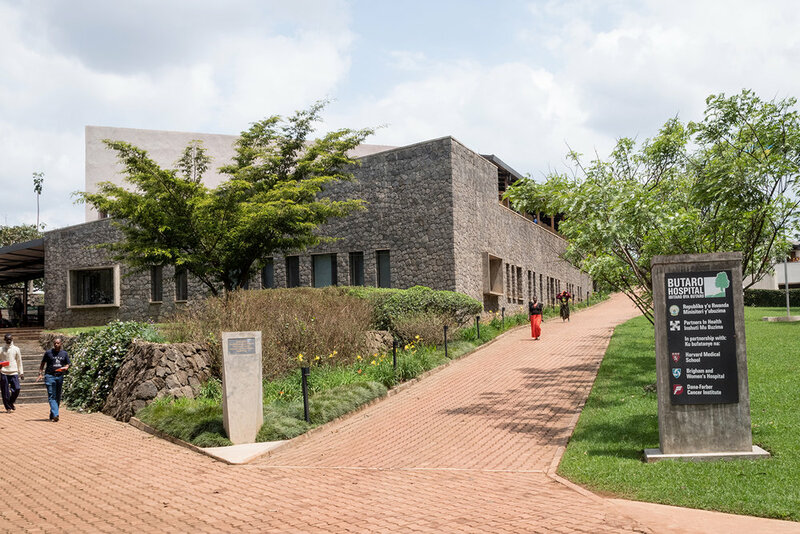 The Center is the first of its kind to bring comprehensive cancer care to rural East Africa. Patients receive the full spectrum of care, including screening, diagnosis, chemotherapy, surgery, patient follow-up, palliative care, a pathology lab, mental health and social work services, and socioeconomic support, such as food, transportation, home visits, and community health worker accompaniment. We began a 12-month research training program to develop the capacity of Rwandans to conduct research and publish papers. This course provides a valuable transfer of skills from senior scientist from the United States to young Rwandan researchers. In Kirehe, we opened a new maternity ward. We established our livelihood program to address the social and economic determinants of health. The All Babies Count program is initiated to effectively reduce the rate of child mortality across the country. The Butaro Ambulatory Cancer Center is inaugurated to serve more patients in a more timely manner. At the Rwinkwavu district hospital in Southern Kayonza we built a brand new operating room and neonatal intensive care unit. We founded The University of Global Health Equity to train the next generation of global health leaders from Africa and beyond. We opened a state-of-the-art neonatal high care unit at the Kirehe District Hospital.